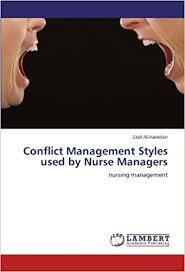 Conflict Management Styles research papers discuss the various strategies on dealing with disagreements between individuals or groups. Conflict is a disagreement between individuals, groups, and even nations. When a person or group finds himself or herself in a conflict situation, there are several conflict management styles that can be employed in order to diffuse the situation. Forcing, accommodating, avoiding, compromising, and collaborating have all been identified as different styles, and people have a tendency to employ the same one over and over, often to their detriment. Forcing is using power in order to resolve conflict to your satisfaction without regard to the positions of others. Accommodating is allowing the other party to achieve their objectives while sacrificing one’s own goals. Avoiding is either ignoring the conflict or not taking any action to resolve the issue. Compromising is attempting to resolve a conflict through the identification of a solution that is mutually, if only partially, satisfactory to all parties. Collaborating is cooperating with the other party in order to discover a win-win resolution. Despite the notion that people will consistently choose one or two of the conflict management styles, choosing an appropriate style often depends on the situation. Time pressure is one of the most important variables, often dictating the need for a quick resolution. Other variables include issue importance, relationship importance, and the relative power of one party over another. Managing Social Processes and Making Decisions Research Papers examine how to place a business project with giving specific writing requirements needed to complete the research paper. Paper Masters writes custom research papers on Conflict Management Styles and discuss the various strategies on dealing with disagreements between individuals or groups.